Private investors and organizations have safely and routinely used offshore banking for years. Truth to tell, there isn’t much difference in the service and benefits between the bank down the street or one in Belize. The banks offering offshore accounts to foreigners are well established and offer online banking options, credit or debit cards and business by fax or phone. Most people and companies consider opening an offshore bank account for perfectly legitimate reasons, perhaps more so at tax-time though. Offshore banking has long been one way to privately and safely experience an altogether different financial world, enjoying a tax-reduced and safely guarded global investment opportunity. Eastern European stock exchanges, commodities in the Caribbean and offshore mutual funds are only a few ways to explore a newfound financial freedom and anonymity. Secrecy is a big reason investors look to offshore banks, although this is beginning to change as countries begin to adapt and enforce new and existing tax laws aimed at punishing (or at least hindering) the ability of nationals to invest outside of their country of origin. Knowing that their clients are typically concerned with their financial investments (and eager to gain new business opportunity), the customer service and care affording international banking is quite excellent and efficient. Additionally, any transfer of assets to an offshore location raises questions about privacy. Any type of transfer is going to leave some kind of marker or trail behind it. Taking shortcuts will only compromise privacy and your financial security. Casually crediting a transfer to a new offshore account via an existing onshore account creates a permanent and unguarded record of their offshore asset locations. In today’s climate, there is virtually no confidentiality regarding your banking transactions; tax authorities commonly gain access to account information on a regular basis. It is worth looking at the offshore bank and its jurisdiction (and how they relate to your country of origin), the size of the transaction you are wanting to make, how much confidentiality you require and the timetable for the transfer. It’s possible you may unwittingly raise a red flag and bring unnecessary scrutiny on your financial doings. Even though its perfectly legal, a little sleight of hand may not be a bad thing. With an increasingly growing importance placed on international trade, the use of a third-party, commercial intermediary for international transactions has also grown. These third-party entities allow companies and private investors the ability to extend their investments globally to access other financial markets, increase profit-margins and create a buffer for some of the credit risks inherent in international trade. The concept isn’t new and was well-established prior to the current punitive investment environment. 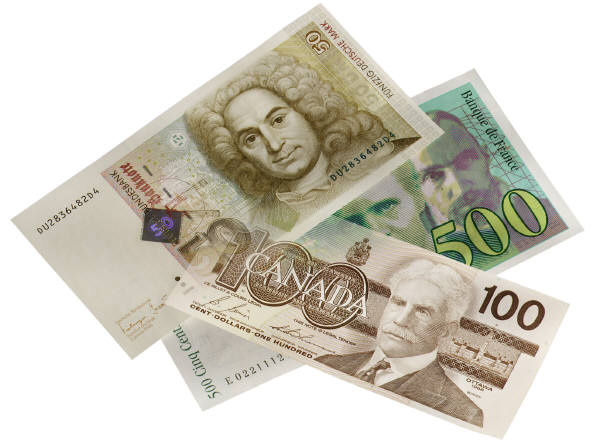 Many individual investors choose to use a low-risk foreign exchange trade as a vehicle to move their funds offshore. The money transfer is structured using an appropriate brokerage house, giving the investor some ground to gain a suitable level of financial privacy. Some, more risk-averse investors, form their own intermediary corporation for their privacy purposes. This is especially beneficial in situations where the amounts and the frequency of transfers require the extra outlay and necessary administration to handle the complexity. No matter what strategy you choose to use in your offshore investments, discuss the confidential transfer of your assets with your offshore services provider. As long as everything is legal (and you aren’t involved in a crime), they don’t have any reason to avoid helping you.